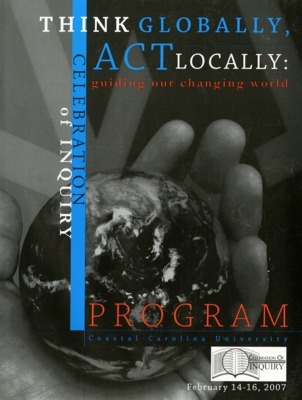 The Celebration of Inquiry is a celebration of creative inquiry and expression by the Coastal Carolina University community. 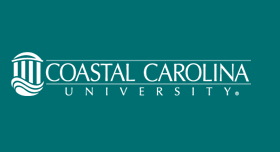 It features well-regarded keynote and plenary speakers, sessions by faculty, students and community members, and an array of performances. 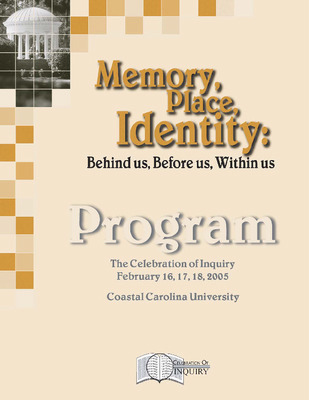 The Celebration of Inquiry provides a platform for members of the Coastal Carolina University community to share research, encourage creative thinking and showcase creative expression. 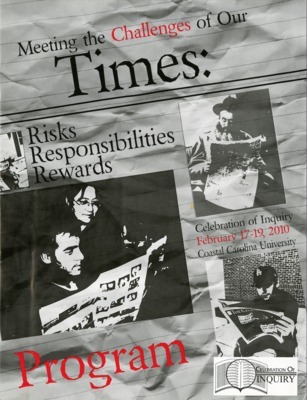 The event did not take place from 2001 to 2003, and then was held every two years beginning in 2010. 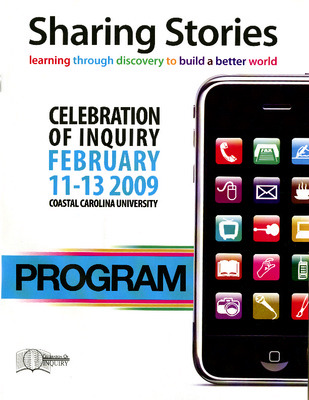 8th Celebration of Inquiry, February 11-13, 2009. 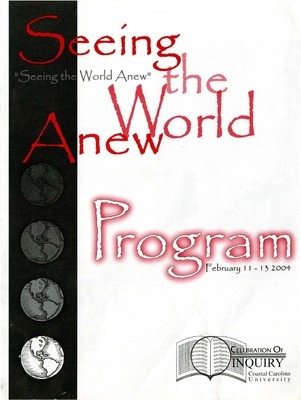 Theme: Sharing Stories: Learning Through Discovery to Build a Better World. 1st Annual Undergraduate Research Competition abstracts and schedule are included in the program. 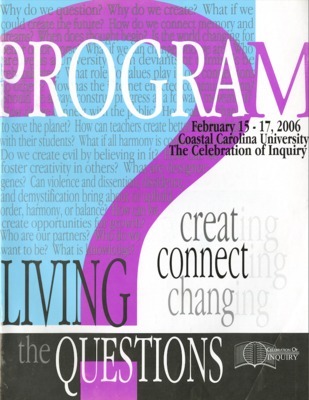 9th Celebration of Inquiry, February 17-19, 2010. 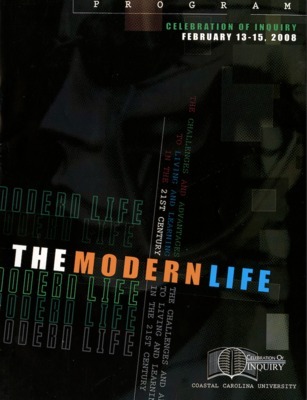 Theme: Meeting the Challenges of our Times: Risks, Responsibilities and Rewards. 2nd Annual Undergraduate Research Competition abstracts and schedule are included in the program. 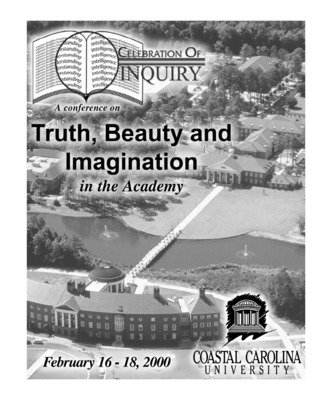 10th Celebration of Inquiry, March 29-31, 2012. 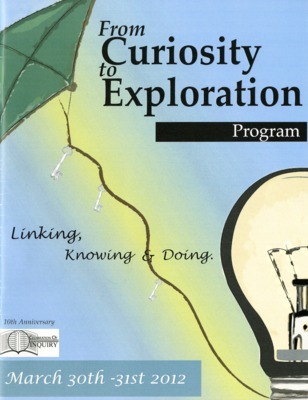 Theme: From Curiosity to Exploration: Linking Knowing and Doing. 4th Annual Undergraduate Research Competition abstracts and schedule are included in the program. 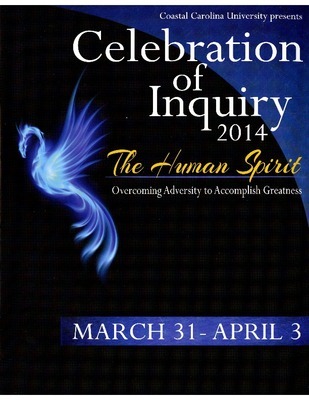 11th Celebration of Inquiry, March 31-April 3, 2014. Theme: The Human Spirit: Overcoming Adversity to Accomplish Greatness. 6th Annual Undergraduate Research Competition abstracts and schedule are included in the program. 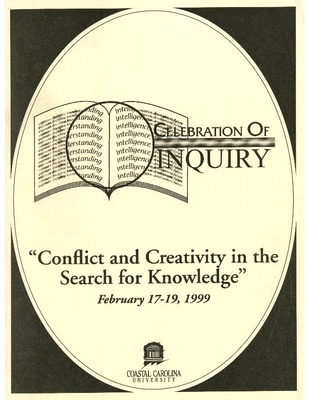 12th Celebration of Inquiry, April 11-16, 2016. 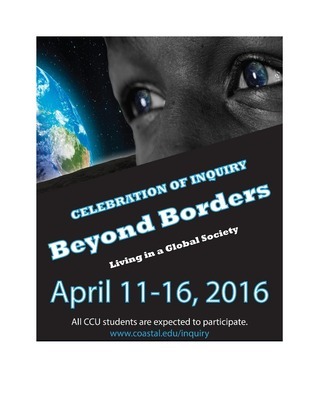 Theme: Beyond Borders: Living in a Global Society. 8th Annual Undergraduate Research Competition abstracts and schedule are included in the program, but not separated from the general schedule.